Hugely popular night club located on the corner of Hurst St and Smallbrook Queensway. 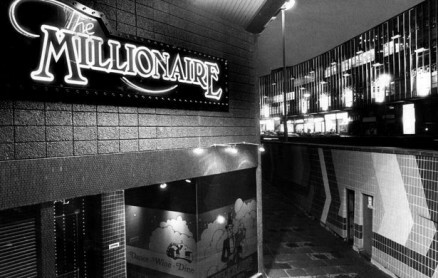 I worked at The Night Out just across the road from Millionaires. My girlfriend at the time was Kathy Sharrard – she was a bar manager at Millionaire’s so I’d get in for free when the Night Out closed at 1 – 2am. It was a great club. Likewise – Pagoda Park across the road. That was owned by First Leisure who also owned The Night Out – so we got in there for free aswell. Another freebie was the Odeon Cinema on the Horsefair Island. Their staff used to get into the Night Out for free and the favour was returned. But at midnight on Saturdays they showed Chinese films and the queue of Chinese people was halfway down Bristol Rd. By coincidence – many years later I ended up working with the ex manager of the Odeon – Mike Ellis who shared many of the same memories of those times.